ATHENS, GA — Tickets to the SEC Football Championship game have become a coveted item over the last few weeks. The football game will be played between the University of Georgia and Auburn University. 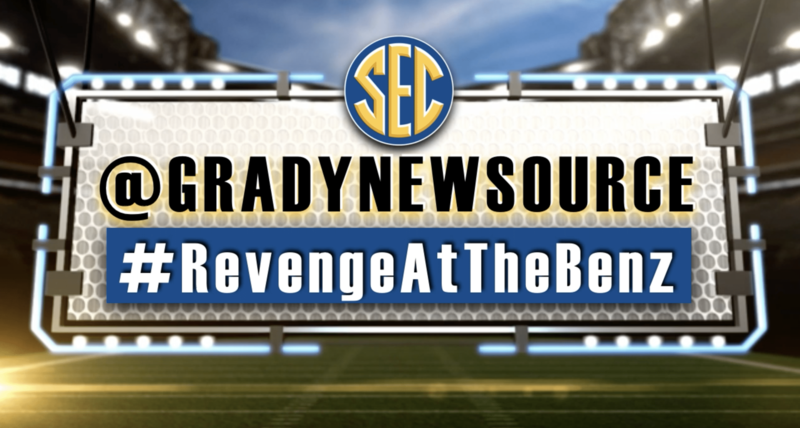 UGA fans want revenge against Auburn after losing badly on November 11th, 2017. Auburn obviously has other plans, with the winner of the game most likely going to the College Football Playoff. The game is on Saturday, December 2nd, at the Mercedes Benz Stadium in Atlanta. Kick off is at 4 pm. Ticket prices for the SEC championship are the most expensive football conference championship tickets in the nation by far. The cheapest ticket prices our reporters have seen for resale, on sites like StubHub or Vivid Seats, is around $500. The game is sold out. If you cannot make it to the game, you have other options for watching the game. The UGA Alumni Chapters have chapters all over the United States and some international chapters. Some of their chapters will be holding Watch Parties. The Tate Theater on UGA’s campus will be hosting a free viewing party on the “biggest screen on campus”. Grady Newsource will update this article as more watch parties are announced.